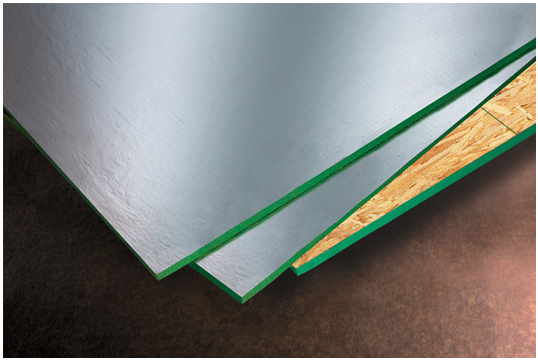 Radiant barrier sheathing (RBS) is one of the simplest and most cost-effective solutions to reduce energy consumption in a home. 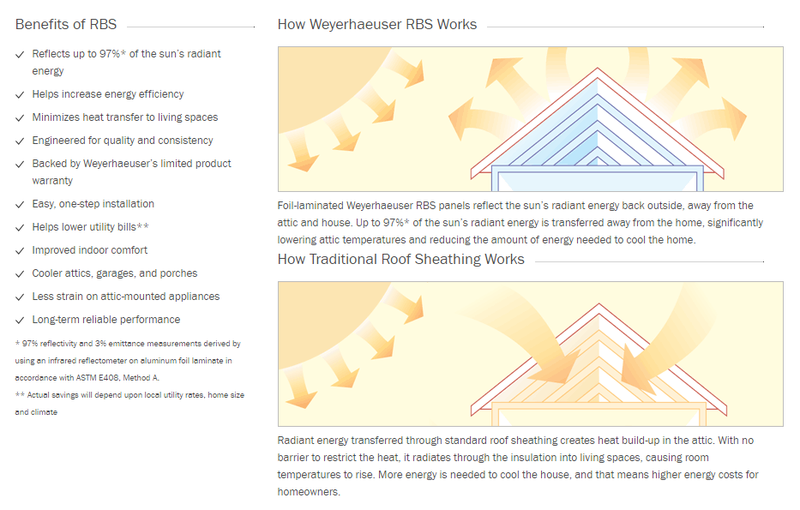 RBS is a roof sheathing product and uses a foil-like face to reflect the sun's radiant energy away from the house, thus cooling the attic and the overall home. On a typical two-story home, Radiant Barrier Sheathing costs roughly an additional $150 installed over regular OSB but can save 10-15% in energy consumption during the summer months.